With green boots to match her big eyes, this auburn haired cloth doll sparkles with personality. She is handmade, first sewn together and then stuffed before adding her face, hair and funky clothes. Looking to make your own art dolls? 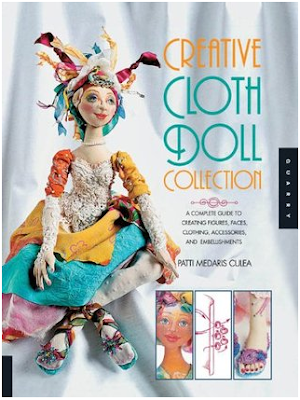 Allow me to recommend Creative Cloth Doll Collection by Patti Medaris Culea. This book is a compilation of previous books by the artist/author making it a comprehensive guide to cloth doll making. There is instruction and detail for every facet of constructing and dressing your doll. 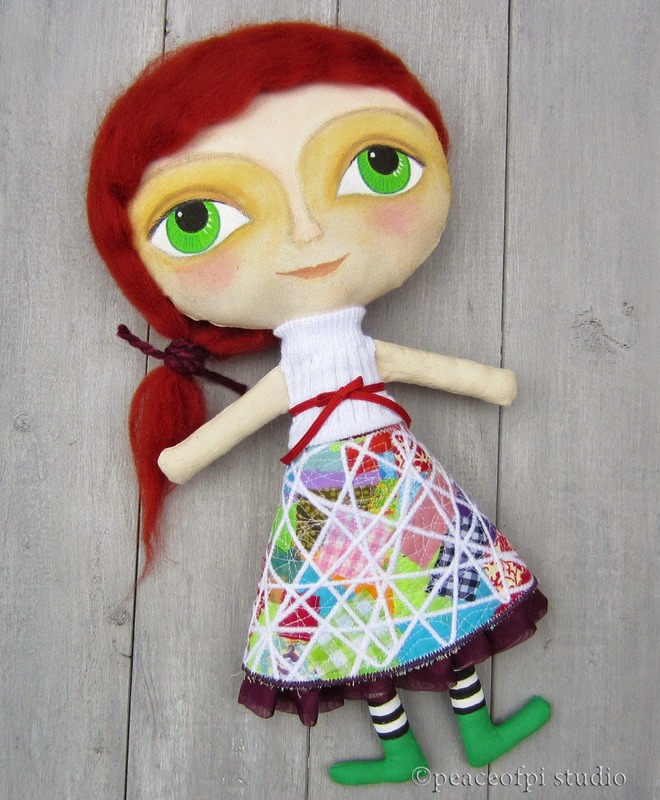 Patterns are also included to make your own doll in the author's style - a great learning experience and first step towards making your own pattern. A lovely complete guide, well worth a look, check out Creative Cloth Doll Collection!